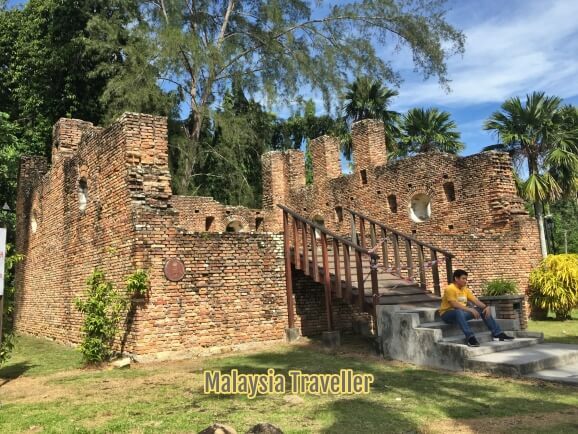 Dutch Fort Pangkor Island (Kota Belanda) is the remains of an old 17th century warehouse built by the Dutch to store tin ore. 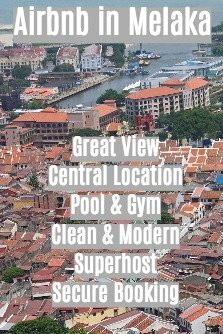 It is located at a scenic beachside fishing village called Kampung Teluk Gedung (gedung can be translated as godown or warehouse). At the time the 'fort' was built, the Dutch had occupied Malacca and they were extending their tentacles to other parts of the Malay Archipelago and they had their eyes on exploiting the tin trade. 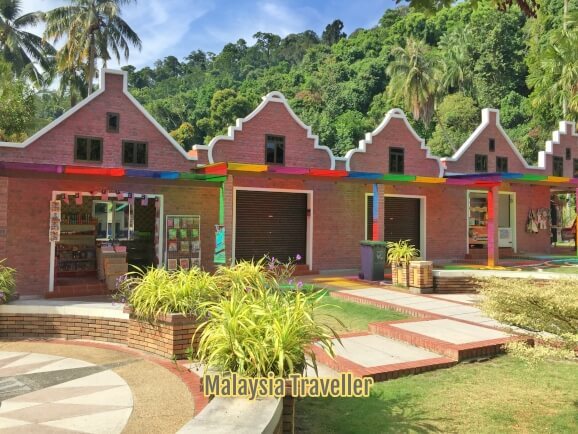 According to the National Archives of Malaysia the Dutch erected a store here in 1670, initially made of wood but later strengthened to a brick structure. 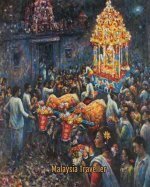 In 1690 the Malays under Panglima Kulup destroyed the warehouse as they opposed Dutch attempts to secure a monopoly in tin ore trading. Some years later the Dutch returned and rebuilt the warehouse and, from 1743-1748, they stationed some 60 soldiers here, including 30 Europeans, to defend it. These soldiers left some graffiti bearing the date 1743 on a large rock (now known as Batu Bersurat Belanda) some 100 metres away from the warehouse. At one point the Dutch had some nine cannons here which probably explains the circular windows in the walls of the fort. Later this fort at Pangkor, known to the Dutch as Fort Dingdingh, was abandoned after the Dutch built another warehouse near Sungai Perak in 1784. Neglected, it fell into disrepair until 1973 when the Museums Department partially restored the fort as a tourist attraction. The walls were reconstructed using the original floor plan (small) but no roof was added since the original design of the roof was unknown. 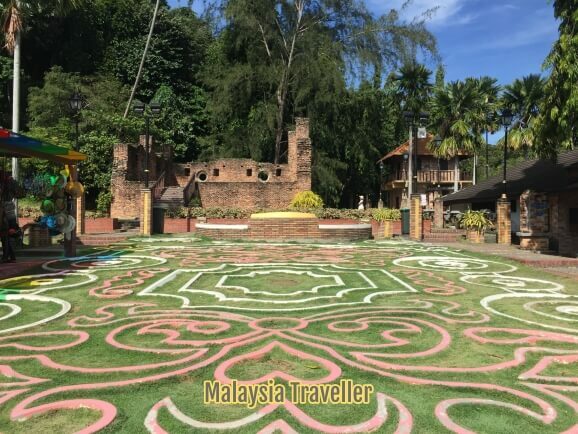 The site of the fort has been enhanced with a patterned lawn, a view tower (closed during my visit), toilets and a row of souvenir/snack shops built with a hint of Dutch-style architecture. 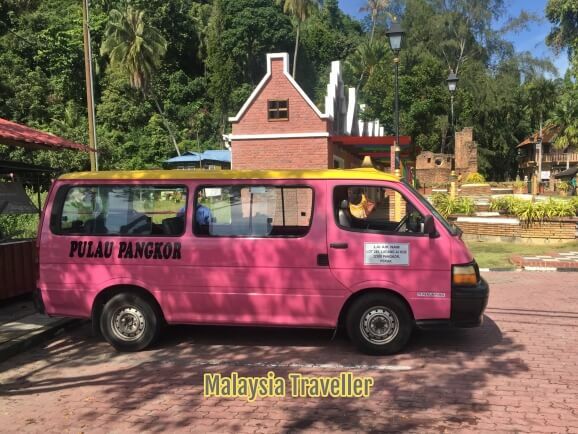 From Pangkor Island Jetty it is easy to hire one of the ubiquitous pink minivan taxis that you find on Pangkor, or you can rent a motorbike. I walked from the jetty and it took about 20 minutes. There is no proper pavement or sidewalk so you have to walk on the road most of the way but traffic is light and consists mostly of motorbikes so it is not too dangerous.